The Jaguar is the largest cat in the Americas. They can be more than 2 metres from nose to tail and 70 cm tall. Visually, Jaguars are often confused with Leopards, as they have golden yellow coats with black spots and blotches. They may also be black (a melanistic form), but then, despite being the same species, are often called Panthers. (Confusingly, Black Leopards may also be referred to as Panthers). They are formidable hunters. They stalk or ambush their prey and then drag their kill to cover. They are not very fussy eaters and will eat both large animals, such as peccaries and tapirs, and smaller ones, such as birds and fish. They will even eat snakes, turtles, porcupines and caiman. Jaguars can roar, but are more likely to be heard grunting or growling. During the mating season they will mew. They are solitary animals, and mark their territories with urine and males and females only come together to mate. Females raise two cubs that stay with their mother for about two years. Although Jaguars are primarily thought to be nocturnal, they are actually crepuscular (mostly active around dawn and dusk), but can also be active during the day. Jaguars like water and are very good swimmers and are often found near rivers. They are also good climbers. In captivity Jaguars can live over 30 years, but in the wild they are unlikely to even reach half this age. Although the rainforests of the Amazon Basin hold the largest numbers of Jaguars, it is actually the watery habitat of the Pantanal and Paraguayan Chaco which is most suitable for the animal. They need large areas of habitat in order to survive. 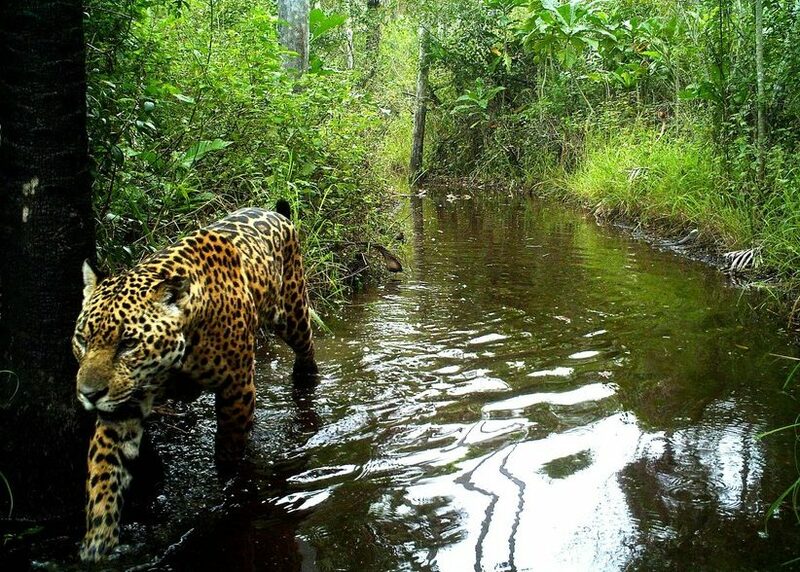 Jaguars in Brazil may have home ranges as large as 142 square kilometres. It has been estimated that jaguars are now only found in 46% of their former range. In the 1960s and 1970s 18,000 jaguars were killed per year for their fur which caused a devastating decline in their population. Jaguars sometimes hunt cattle and therefore are often shot by farmers and ranchers. As farms and ranches encroach further and further into wild Jaguar habitat these big cats will sometimes prey on domestic farm animals; and so Jaguars are often shot by farmers and ranchers. 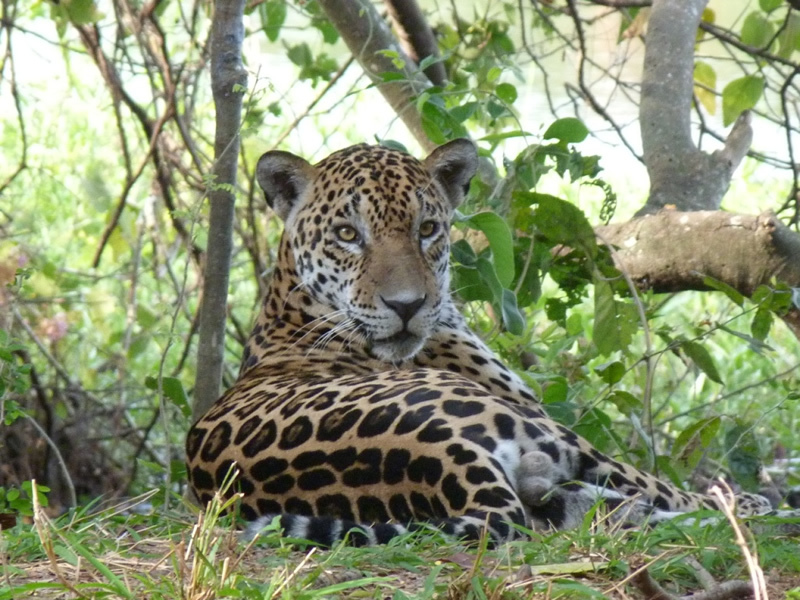 Habitat destruction means that Jaguar populations are becoming increasingly isolated and are therefore more vulnerable. There is no legal protection of jaguars in Ecuador and the hunting of ‘problem animals’ is still allowed in Brazil, Guatemala, Mexico and Costa Rica. However, they are listed on Appendix 1 of CITES.